Morning tea/coffeee at 5am and we left at 5.30 for our morning drive which seemed just as eventful. 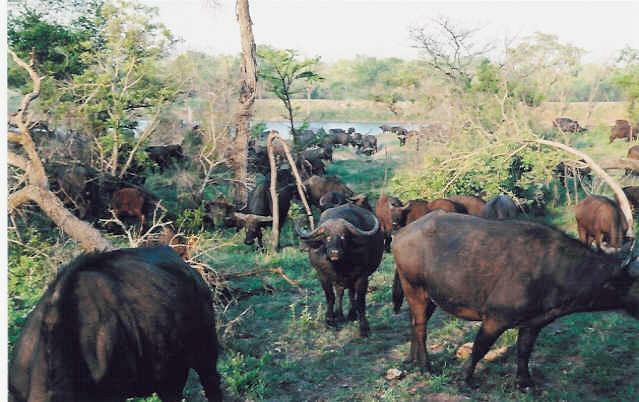 Our first encounter was with a very large herd of buffalo leaving a waterhole. We encountered a fight between 2 males that continued for some way up the hill. We went in search of the rhino and this was the final of the 'big five' that we had not yet seen. 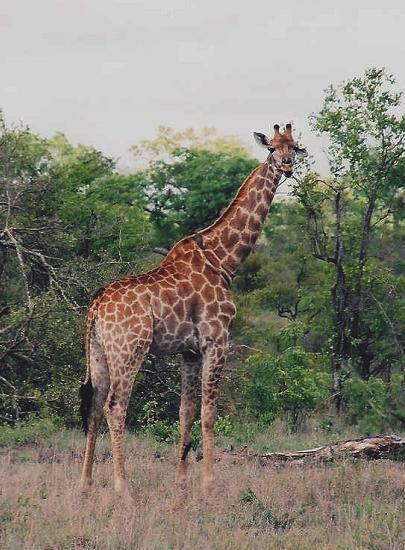 We saw a very large herd of giraffe with may young amongst them. 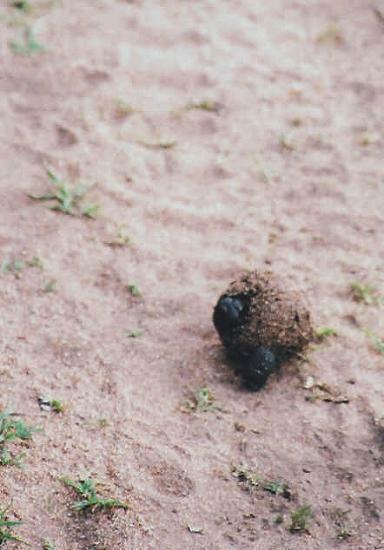 Our ranger even spotted a dungbeetle rolling a ball of dung along the road. There were two beetles - the female sitting on the ball, for the ride and the male pushing it along. Clearly, she has the right idea! 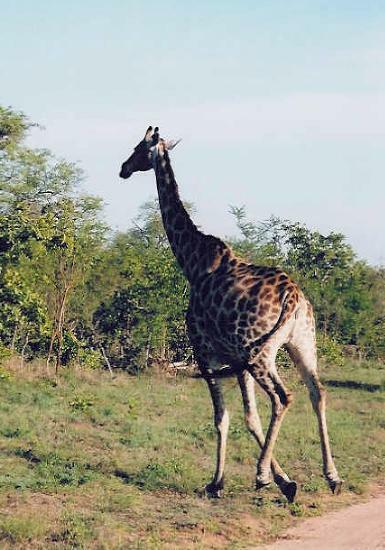 We drove a long way into the Kruger Park, having got our permission to enter the area. Alas the rhino was not to be seen. After breakfast we sadly left Vuyatela and the staff who had been so friendly and helpful. This had been my first experience of a safari and the excellence of this lodge and the drives has set a very high standard to be matched in the future. 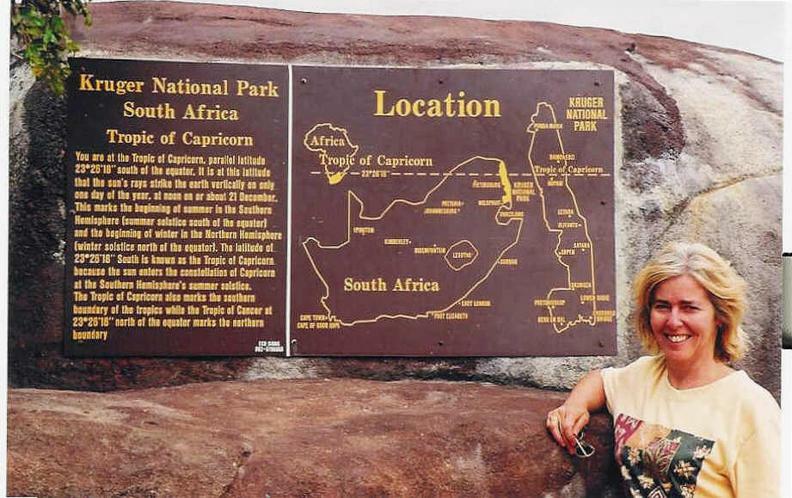 We travelled along the track roads for several hours and then on normal roads to the Kruger Park where we stayed at the Mopani Rest Camp, home of one of the oldest biloba trees of approximately 2000 years. We set off for an evening safari drive In the Kruger Park, where the vehicles have to stay on the roads and purpose built tracks. Throughout our drives we encountered several elephants, impala, jackals and wild dogs. 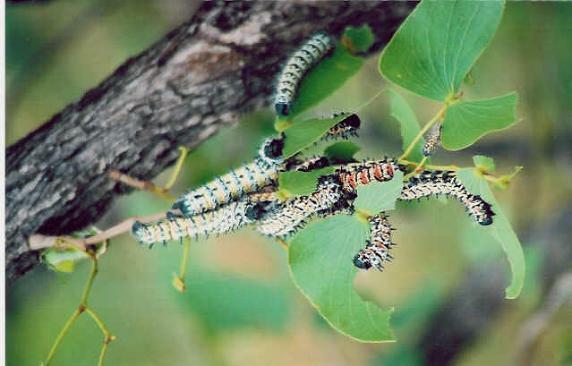 We also learnt about the mopani worms and watched as they rapidly devoured the leaves of the mopani tree. 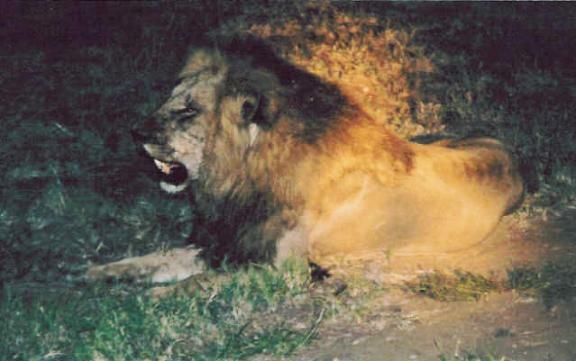 The highlight of one evening came when we encountered 2 lions, a male and a female. The female laying in the middle of the road was apparently quite settled and seemed in no hurry to move. The male lion was feasting on the remains of a buffalo and it was interesting to see that the animals eat the inside first. The lion was getting the remains of the inside and kept tossing the buffalo carcass above its head in an attempt to break off the scraps from the inside. It was amusing as the lion's head was completely hidden inside so it was as if it was tossing around with a huge hat on. The female finally moved to join the male and both let out might roars continuously in 'conversation' with other lions in the area. 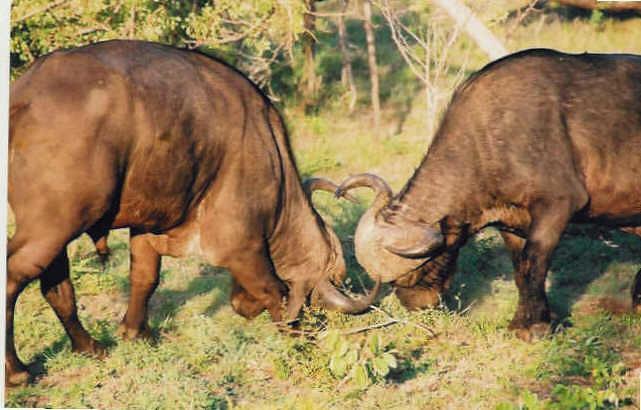 We had seen the contrast of a Sabi Sands private game reserve with its open less formal drives sighting many animals in a smaller area and the wast plainlands of the national Kruger Park where you could only sight animals from the confines of the authorised roads. 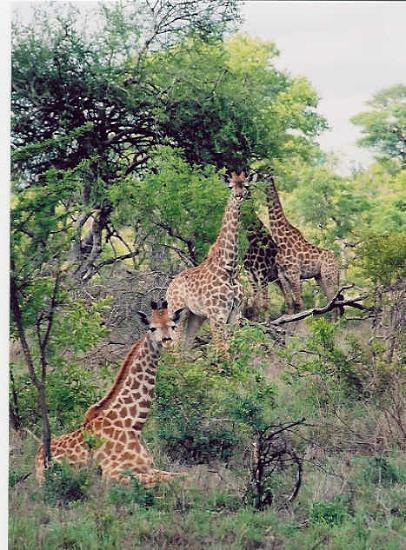 We had seen at least 33 different types of animals, over 50 different species of bird, countless reptiles and trees. What a most memorable experience.